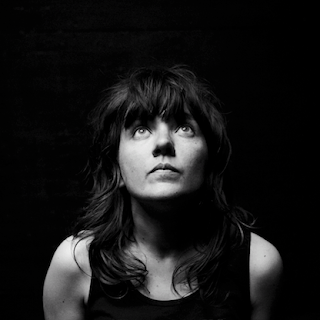 Two years ago I first discovered Courtney Barnett when she covered The Lemonheads' "Being Around." That started off a beautiful relationship of fandom, and I've become pretty obsessed with Barnett ever since. I loved the cover, even though "Being Around" is probably my least favorite Lemonheads song, and it's pretty much guaranteed to be played at every single Lemonheads/Evan Dando show you ever go to. Well, she's back with yet another Lemonheads cover. This time she has an acoustic version of "Paid to Smile," one of my favorite lesser known Lemonheads songs. Nothing is changed in the song. It's a faithful, nearly revenant cover. Let's hope this leads to a Courtney Barnett Lemonheads tribute album. And, if she's taking requests, could we suggest "Mallo Cup" or "Ride With Me?" You can listen to Courtney Barnett's version of "Paid to Smile" below, at around the 5:50 mark of the video. For more info on Barnett, check out her website.